It's hard to imagine the Lenten season is upon us. I am still relishing Christmas. If you efficiently completed your Christmas list, Great Job! But if, like me, you had more people on your list than time to thank, why not give yourself permission to extend the season? Giving thanks is not relegated to the four furious weeks between November 20ish and December 25. We are to give thanks continually. One way to keep a grateful heart toward God is to cultivate gratitude in all areas of our lives. So you don't have to give up on your want to say thank you just because you missed a deadline. Consideration is welcome anytime of year. In fact it might be even more so when the winter seems long and the influx of gift-giving has passed. 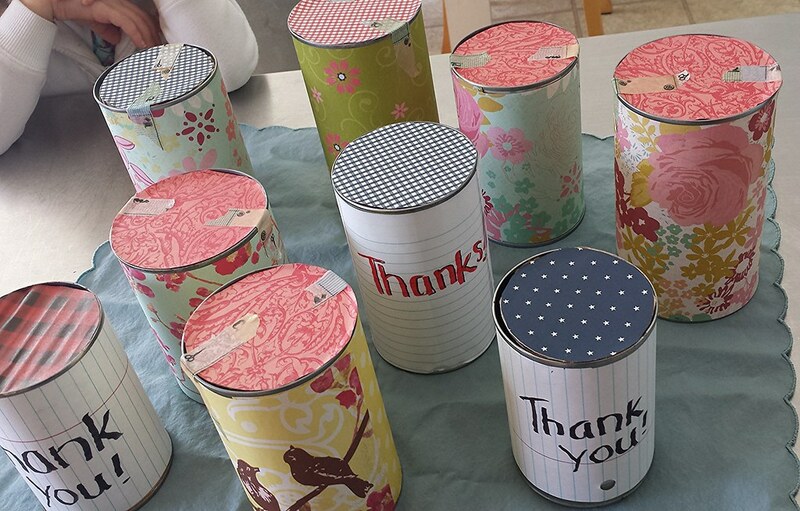 Being a big fan of the tin can--and up-cycled items in general--here is a simple way to bless someone with a little time and some resources that are at your fingertips. First, remove labels from the cans and run them through your dishwasher or hand wash. Let the cans dry thoroughly and make sure any burrs or snags left from the can opener are bent in or snipped off with wire clippers (pop-to p cans work best). 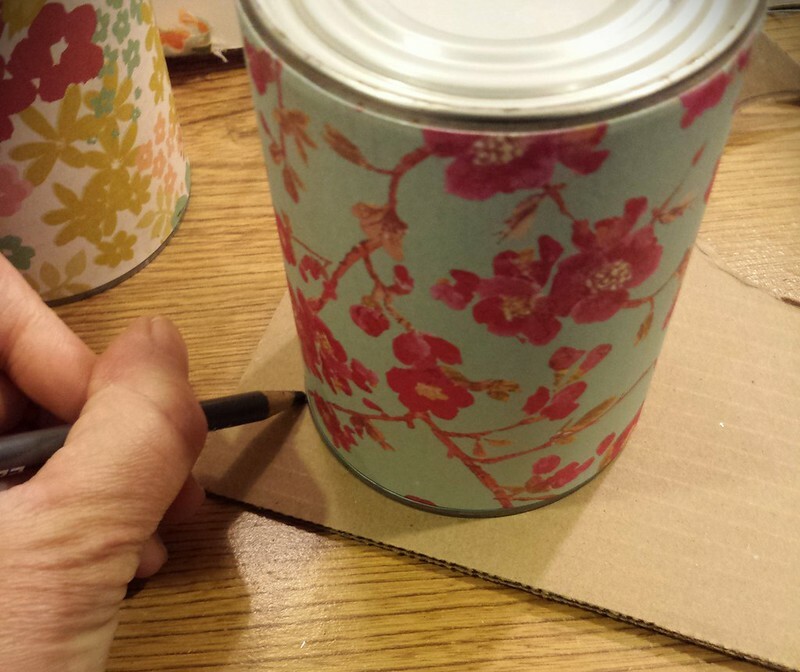 Next, measure and cut a piece of scrapbook paper to form a sleeve around the body of the tin can. 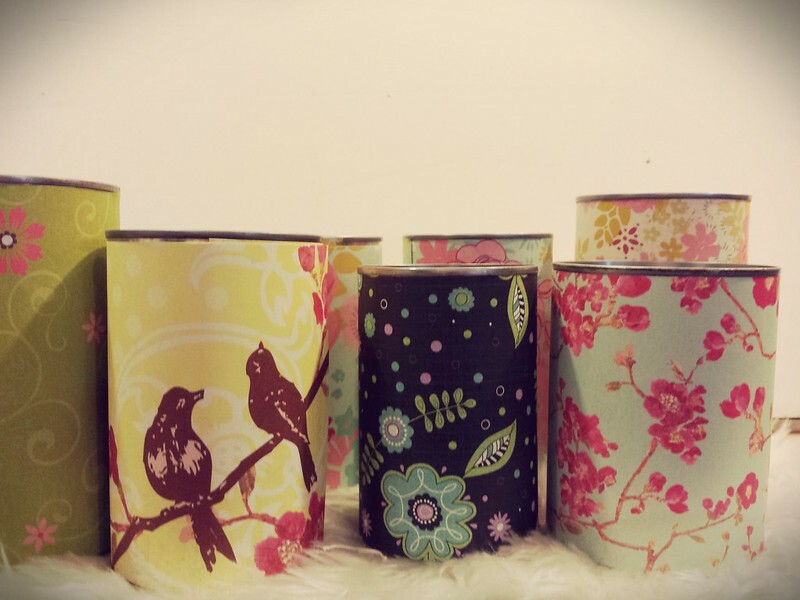 Affix the paper onto itself tightly with glue dots or craft glue. Trace the circumference of the can onto the cardboard. Cut just inside of that circle to form a "lid" which should fit snugly in your can. 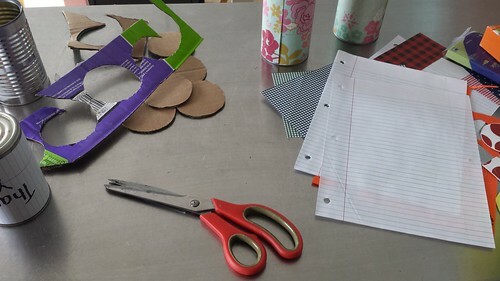 Cut a same-size circle from scrapbook paper and affix it to the cardboard circle. Fill your can with anything you like (except liquids), seal with your lid and secure with tape. Give as is or embellish it further. We are filling these with chai granola and a thank you note from the kids for some special teachers. 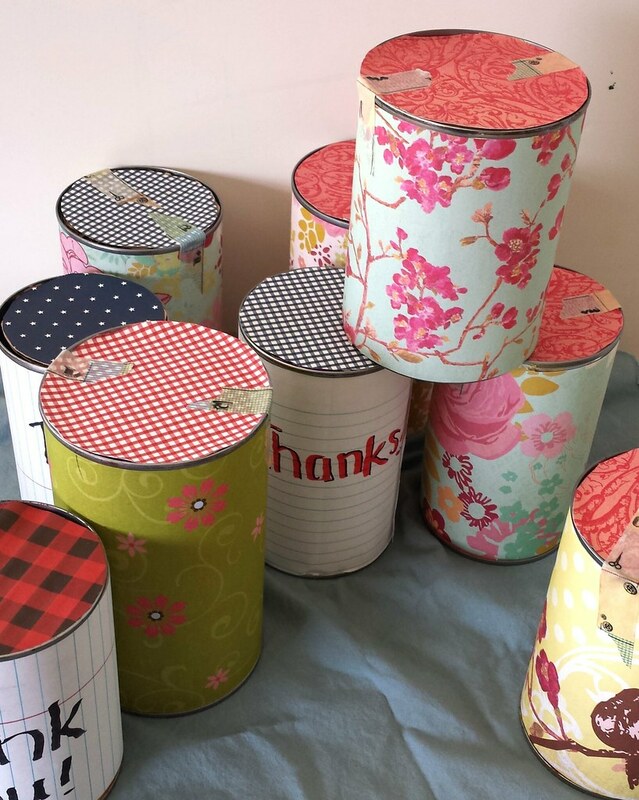 You could fill a bundle of cans up as goodie "bags" for a child's birthday party. Or how about a sickie emergency kit for a friend (lip balm, travel tissues, tea, cough drops). And then there's always CHOCOLATE just because. You get the idea. I hope this encourages you to bend some self-imposed rules about time and tools which allow you to bless someone today.